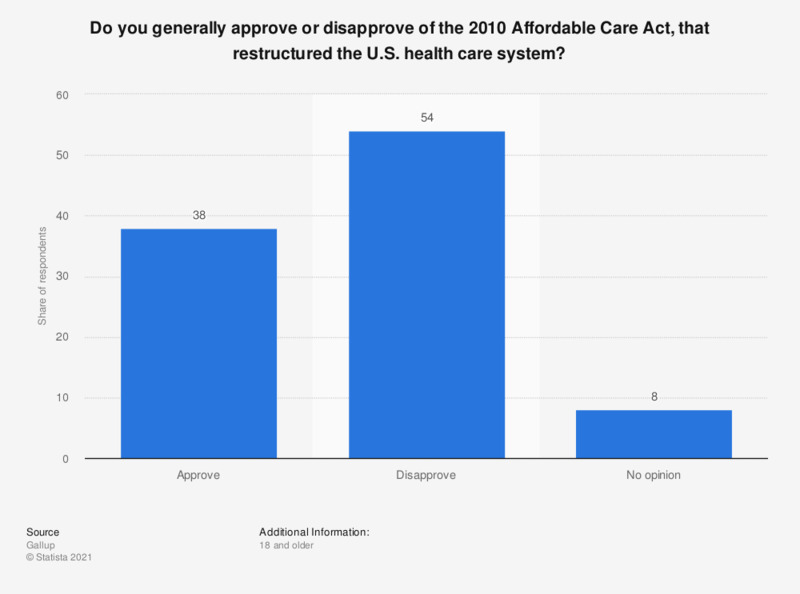 This statistic shows the results of a survey among adult Americans on their attitude towards the Affordable Care Act, which was signed into law by US President Barack Obama in 2010 and restructured the American healthcare system. According to a survey, 38 percent of respondents approved of the Affordable Care Act in January 2014, while 54 percent disapproved. The source worded the question as follows:"Do you generally approve or disapprove of the 2010 Affordable Care Act, signed into law by President Obama that restructured the U.S. health care system?"